Antique Car Parts. Vintage Truck Parts. For over three decades, we have been providing custom parts and accessories to the automotive market. Our manufacturing capabilities and experience allow us to produce, at a customer's request, a wide spectrum of custom parts or newly designed features. Within our focused and highly creative environment, we have enhanced internal carburetor friction/resistance, restored antique auto parts, and performed interior work for "The F-100 SuperNationals 2000 Truck of the Year." Below are a few pics of projects we found interesting. The first series is from a phenomenon we call "The Audi Adventure." 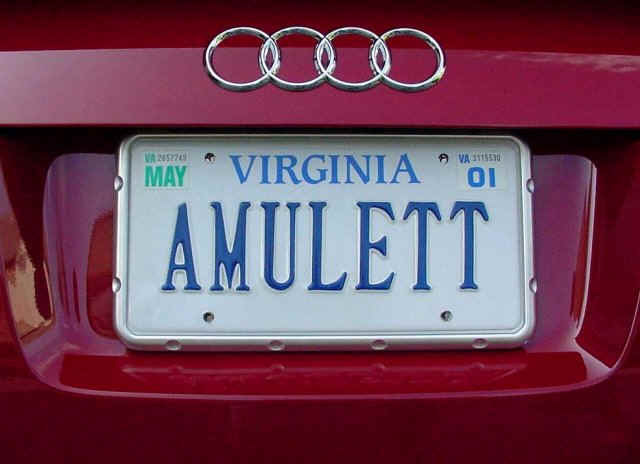 For ten years we made custom license plate frames, numbered in sequential order, for devoted Audi owners. We even hosted an online photo gallery of their - dimpled and non-dimpled - installed license plate frames. It was great! 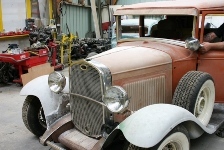 And recently we received these pics from a gentleman in France who was restoring a vintage model. The pic on the right shows him installing one of our mirrors. The next page will introduce you to Becart's DoubleVision Mirrors. To discuss your automotive needs, you are welcome to call Roger's cell phone at 828.439.3345, or email him at rc@becart.com.